The University of Edinburgh appointed a design team led by Reiach and Hall to develop design proposals for Peffermill Playing Fields. 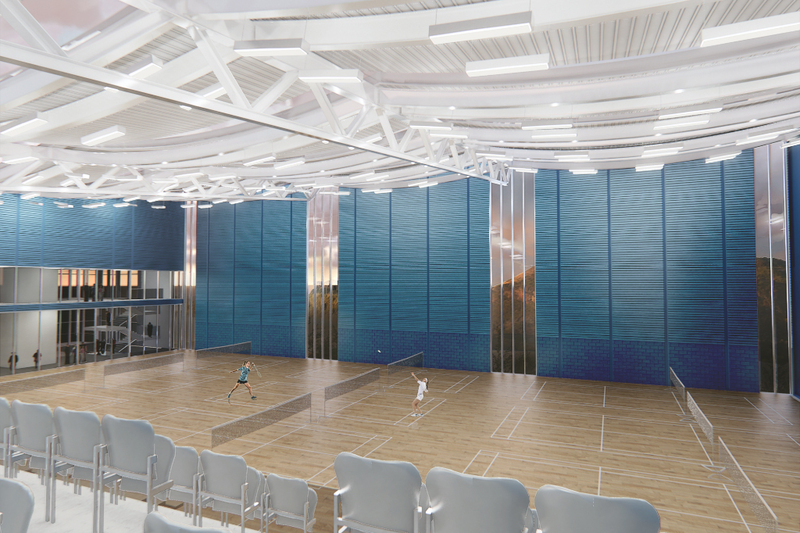 The project involves developing a masterplan for a new Sports Village including a large new sports centre, new artificial hockey, football and rugby pitches, an archery range and pavilion, a trim trail and student housing. Peffermill Playing Fields will remain operational throughout the works which are to be delivered over a series of phases. The site is accessed from Peffermill Road, which forms its northern boundary. The site is dissected by the railway line connecting East Lothian to Edinburgh and two streams: the Pow Burn and the Braid Burn. Together with Peffermill Road, these form the boundaries of West, East and South Peffermill. South and East Peffermill and, to an extent, West Peffermill are susceptible to flooding. The situation is improved in the western portion of West Peffermill which is protected by an earth flood defense bank. Working closely with the University’s Department of Sport and Estates Staff, the design has been developed to maximise the experience of the sports users and the spectators. Atmosphere and environment can improve competition and performance, and have been at the forefront of the design process. The University of Edinburgh has been home to many of Scotland’s greatest sports stars including Dame Catherine Grainger and Sir Chris Hoy.